Speaking at the National Institute of Education (NIE) Teachers’ Investiture Ceremony on Wednesday, Education Minister Ong Ye Kung told 381 newly graduating teachers that they should be a role model for their students as “there is nothing more authentic than walking your talk”. 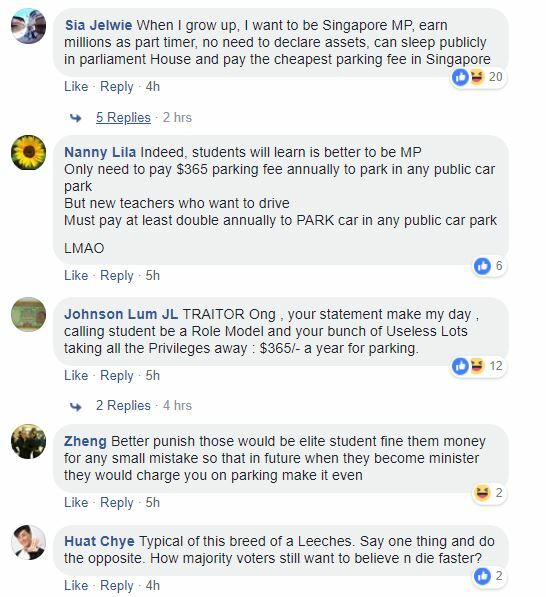 The Minister’s remarks has drawn the ire of Singaporeans, who are still irate over the fact that the Government is imposing hefty school parking fees on teachers while elected MPs enjoy heavily subsidised parking at housing estates. 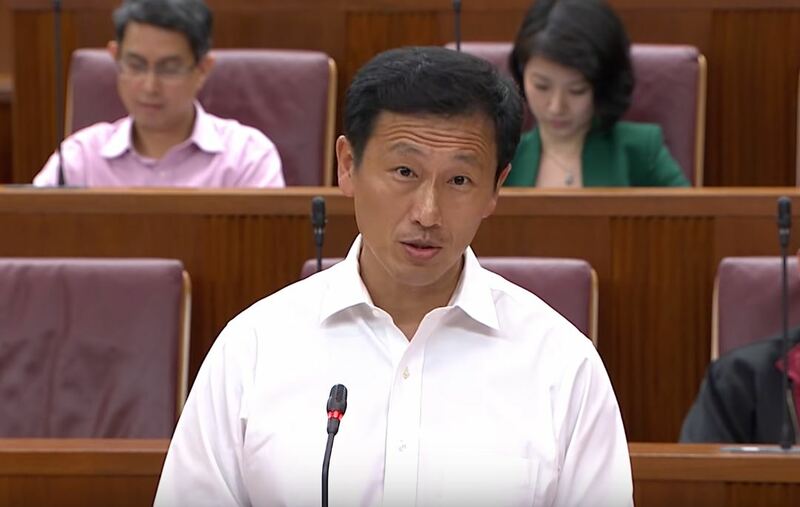 Last month, Ong Ye Kung said that imposing parking fees on teachers is about the Government’s “system of internal self-discipline”. His remarks came two months after news broke that teachers at all primary schools, secondary schools and junior colleges will have to start paying hundreds of dollars for parking at school premises from 1 Aug this year. “…we have to respect our internal system of checks and balances. We cannot pick and choose which finding to address or comply with – we take them all seriously. This is about upholding the value of self-discipline. 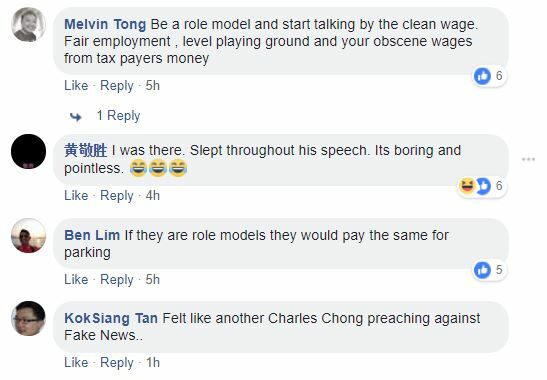 Just one month later, the Ministry of National Development confirmed that elected Members of Parliament (MPs) only pay S$365 for an annual permit that allows them to park at HDB carparks and at Parliament House. Translating to just $1 per day, the special parking permit for MPs has caused Singaporeans to point out how low this parking permit costs in comparison to the high cost of parking permits that are imposed upon members of the public, with many perceiving the special parking permit for elected MPs to be a “double standard” that favors Government officials. Netizens have also noted instances where elected MPs have parked their vehicles illegally or indiscriminately and gotten away with it. The Education Minister himself faced widespread flak less than two years ago for parking in a reserved parking lot that was set aside for emergency vehicles at the National Library. 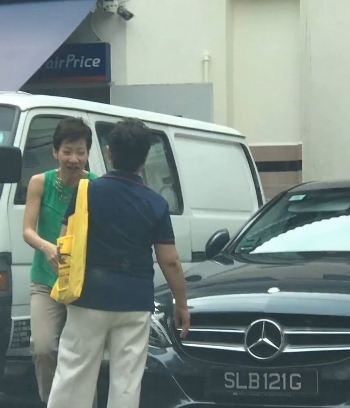 A few months after Ong drew criticism for parking his car in the reserved lot, Minister for Culture, Community and Youth Grace Fu also faced similar backlash after she was caught parking her car illegally in a spot reserved for season parking holders at a busy carpark. “Elected MPs who drive pay for an annual permit that allows them to park in Housing Board carparks, in order to do their constituency work…This payment generally covers the occasions when they visit other ministries and agencies on official business; and if they have to pay for public or commercial carparks in the vicinity, they are reimbursed. 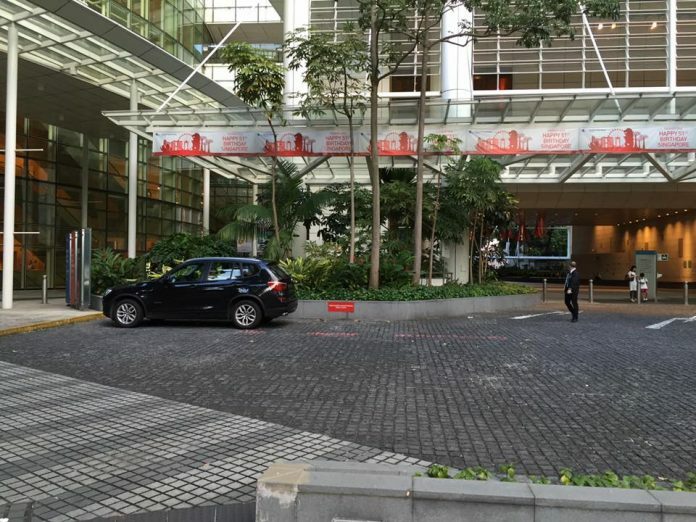 A year after Fu was caught parking indiscriminately, just last December, vehicles belonging to President Halimah Yacob’s convoy were flagged for waiting along double yellow lines at Prinsep Street. An LTA enforcement officer was photographed at the scene appearing to investigate a car belonging to the convoy for flouting parking rules. According to the Land Transport Authority (LTA), parking on unbroken double yellow lines is an “illegal parking offence” and offenders can be fined between $70 to $150 depending on the type of vehicle they drove. Despite this rule, the LTA and the Singapore Police Force later revealed in a joint press statement that no summons were issued for vehicles belonging to President Halimah Yacob’s convoy.